We are situated in front of the Platja Llarga of Tarragona. This beach has 2.700 meters long for 45 meters wide of fine golden sand. Besides it have very calm and shallow waters, ideals for swims in family. They are also perfect for the practice of nautical sports as snorkel or windsurf. At 6 km of the centre of Tarragona, Camping Las Salinas is the perfect place to rest after a day visiting and enjoying the historical wonders of the city. In 2000 this archaeological complex was declared patrimony of the humanity by the UNESCO. The cathedral, the amphitheatre, the circus, the walls, the forum and other areas are preserved so that all the tourists can enjoy themselves with the ruins of the city of Tarraco, the ancient city of the Roman period. Our climate provides us with an excellent average temperature of 25 °C in high season and 20 °C in low season approximately. These temperatures are perfect for live some unforgettable days of rest. 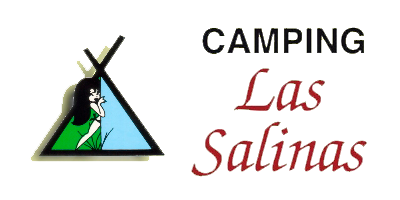 Come to know us, come to enjoy your holidays in Camping Las Salinas.